Holidays are always a time that people think about family, and for those of us that have no relationship with most family members for whichever reason - a time that can quickly get sad and lonely. Fortunately for myself, I only have to struggle with these feeling during Jewish holidays, as for most Secular/American holidays, there is nothing to miss. Not only does my family not celebrate holidays like Thanksgiving and New Year’s, but growing up, we were barely aware that these days exist as holidays. Christmas (or as we called it, Kratzmakh, literally: Scratch-Me in Yiddish, a pun, usually seen as degrading: see the Forward article) however, was different. Not only were we aware of the day’s existence, but in an interesting turn of events, even celebrated it. Not just the Western Christmas on the Eve of December 24th (as in tonight), but also the Eastern Orthodox Christmas on January 7th. In fact, for most of us teenagers studying in religious school in the Catskill Mountains of New York State, these two nights where in some ways ‘the most wonderful time of the year’. Okay now, enough with the build up. Most of you who are unaware of what I am referring to are probably having a hard time believing that the cult-ish Jewish community that believes the outside world is evil, celebrated a Christian holiday that most secular Jews don’t celebrate, any more than having family time and eating Chinese food. Well okay, we didn’t do Christmas, or Kratzmakh, we celebrated “Nittel Nacht.” Nittel was the only night of the year, that not only weren't we driven to feel guilty if we ‘wasted’ our time doing anything else besides studying holy scriptures, we were forbidden from doing so. As a result it was the only time of the year, that we were playing games ‘guilt-free’ to some extend. Different Hasidic communities have different times of when they “observed” with the dates being between December 24th, January 7th, or one sect, January 6th - all depending mostly on where they come from. Some did from sunset to midnight, 6 pm to midnight, or noon to midnight. In my sect, we did sunset to midnight on the 24th, and noon to midnight on the 7th. 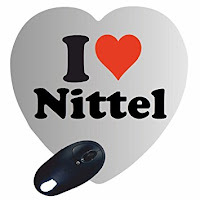 In my childhood, “Nittel” was a ‘special’ fun day. As a pre-teen, it was the only night my father allowed us free, non-guilt-driven, access to watch videos on his home computer (that obviously had no internet access). Mostly that consisted of videos of family weddings, speeches and events where my late great-grandfather was the keynote speaker, recorded gatherings of Hasidic Rebbes (mostly my great-uncle, the Bobov’er Rebbe, and at times, National Geographic films he deemed ‘kosher’. Later on, in rabbinical seminary, the two Nittels were the only two days in the year that we were allowed to play board games in the main study hall, and during a year long prohibition on listening to any and all tapes and CD’s (a story for another time), we were allowed to listen to these devices on Nittel. In true Hasidic fashion, they turned playing chess on Nittel into a whole custom, with supposed deep meanings. In my sect, the Rebbe (Supreme Leader) himself used to play chess publicly on Nittel. What is most interesting to me, and the reason I set down to write this post - which was supposed to be a short one paragraph quest for all of your thoughts, before I turned it into a storytelling rant - is the interesting part of a twisted acceptance and almost blind belief in the “Power of Christ” so to speak. Most Jews, Muslims, and followers of other faiths that don’t do Christmas, that I know today, don’t celebrate it, because, well, they don’t think there is anything divine or holy with this day/or with Christ. It is not any kind of disrespect, but merely a difference in belief/spiritual practice, something that is as old as the time the first human looked on nature and perceived the sun as a God. Hasidic Jews however, see Christ and Christmas as a powerful time, a night in which the devil reigns. They are different historical reasons for Nittel, but at least what I was told as a child, was that the evil powers are so strong on Christmas Eve, that if you study holy scriptures, it will be stolen by the ‘other side’ - metaphor for the devil and demons. In short, a total acceptance of the powers of Christianity, a weird (and almost only) adoption of the Gregorian Calendar as having a real spiritual power, though evil. Something really weird, considering that otherwise they considered every other religion and practice as being utterly ‘wrong’ and ‘misguided’. What I am curious is if anyone else is aware of a similar concept in other religions - where there is a total disregard theologically to other religious/spiritual practices (so not talking about traditions that have a strong multi-faith/tradition respect), yet they are a few unique examples, where they suddenly adopt a hated religion’s beliefs in a twisted way? There is of course the Christian fascination with the baking of matzoh and the perverse and anti-Semitic libel that the matzoh is baked using the blood of Christian children. Please take a moment to review "Emily's Virtual Rocket". (emilysvirtualrocket.blogspot.com) This has reviews of transgender life, plus a critical view of Donald Trump. Thanks. I too have pondered over this matter regarding Nittel Nacht. I made a comment some time ago in a chassidish chat, and I was quite ostracized for it (unsurprisingly so). The comment went something like this: If we are to really and completely disregard Yoshka (Christianity is a whole other matter), then shouldn't we best just ignore this holy day of X-mas? Why setup so many rules and regulations around a time, if we really thought less of it? What appears is quite the opposite, we think so much of it, that we even deny ourselves access to something that gives us our entire existence, meaning and purpose in life, the Torah. It appears so absurd to me that if "Yoshka", a name abbreviated to mean "may his name be erased", why on earth go out of the way, and pay so much attention to a day he was supposedly born on? Not to give power to the dark side? Ignoring something gives no power to it, and by any stretch of the imagination, this day is nothing but ignored by any body across the earth. How odd.